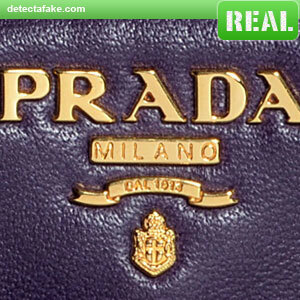 Prada was started in 1913 by Mario Prada and his brother Martino as a leather goods shop. Prada's originality made it one of the premium status symbols in the 1990s and since then, many replica Prada handbags have been flooding the market. 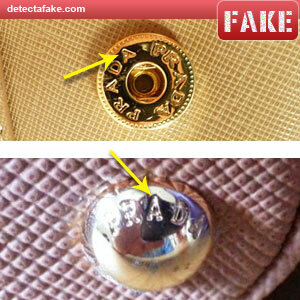 Below are a few ways to spot fake Prada Handbags. The first thing to look for is overall quality. 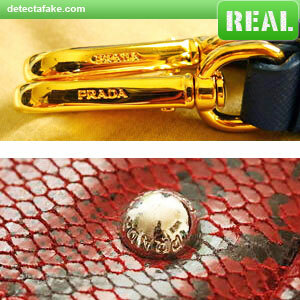 If you see any of the items above, assume it's fake. Next, look at the "R" on the logo tag. The right leg of the "R" on modern bags should have a gap between the loop and the leg, as shown above. The problem with the fake above is the sharp edge where the leg changes angles. 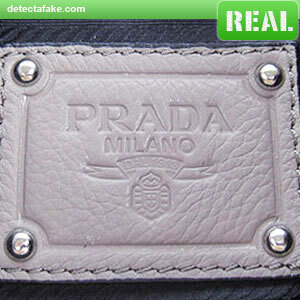 The sharp edge, and sometimes no gap at all are common on fakes. If you have a vintage bag, the "R"s do not have the gap but make sure all the letters look like the one above. Next, look at the stitching. Prada has a distinctive angled stitch pattern, as shown in the above/left photo. 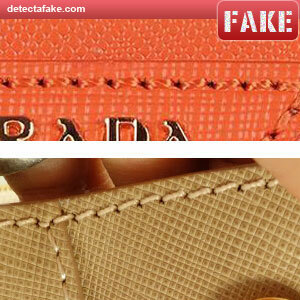 Authentic Prada should always have this stitch pattern and should be very consistent without varying widths. 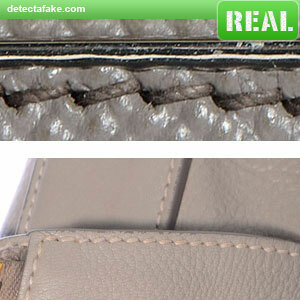 Notice on the fake above, the pattern is straight on the top fake and very inconsistent on the bottom fake. 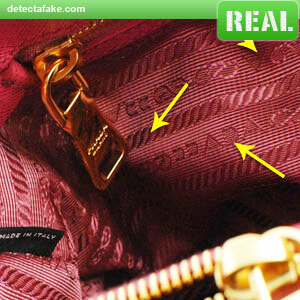 The stamp from one of the zipper manufacturer listed can be found on the underside of the zipper. If you don't see it, the purse is fake. 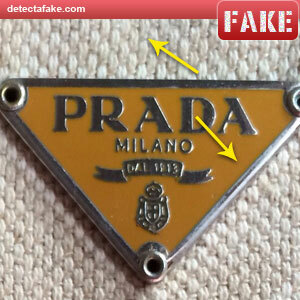 Next, look at the Prada logo plaque. The background of the Prada plate should be the same color as the bag. Next, look at all the hardware on the bag. 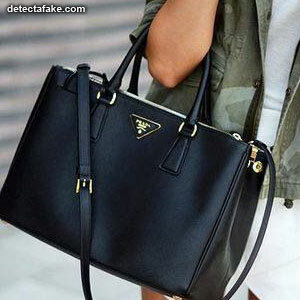 The metal on the bag should be engraved with the word Prada. 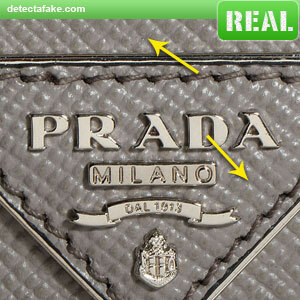 Inspect the letters and make sure the font looks like the authentic logo fonts. Notice the on the right/bottom. "Prada" is much too tall. 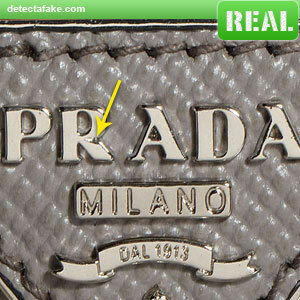 Also, the "A"s on both of the fake photos are not like the authentic "A"s.
Next, check all "Prada" markings on the purse. Make sure all are spelled correctly. 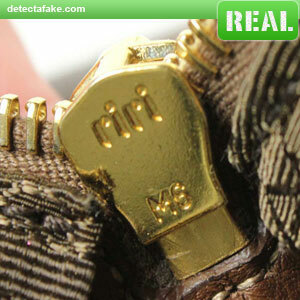 Some of the fakes did not get this detail right. 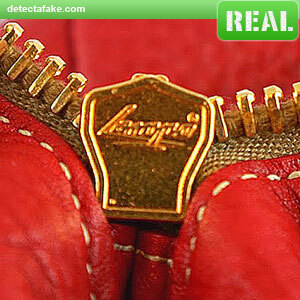 Next, look for the quality assurance tag in the interior pocket. It should be sewn into the corner with two or three numbers printed in black. 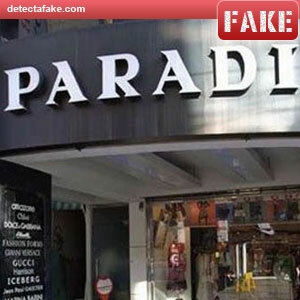 If you don't see it, it's probably a fake. 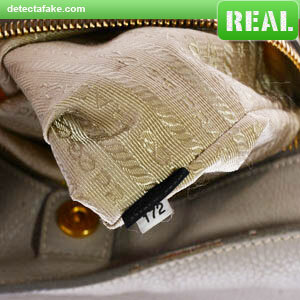 Next, look at the lining inside the purse. It should have the distinct alternate ("Prada" / Rope / "Prada") pattern. If it doesn't, it's fake. 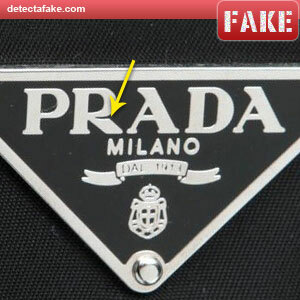 Note: The "A" on the lining "Prada" is not the same as the logo "A".